As Juventus prepare to attempt the signing of some youngsters in the summer market, it seems that Manchester United are a concern in the battle for two of their targets. It’s Tuttosport who makes a list of players wanted by the Old Lady, and the Red Devils get two mentions: one for Matthijs De Ligt and other for Tanguy Ndombélé. 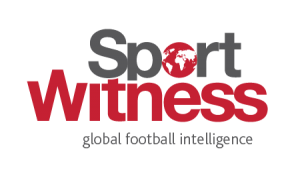 The Ajax player is said to be Juventus’ priority target for their defence, but the club isn’t expecting an easy run to get him. Tuttosport says that his agent, Mino Raiola, will be managing a big auction in the summer market, with the Dutch side demanding at least €60m for the player. 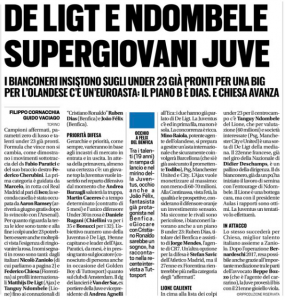 Regarding Ndombele, what Tuttosport says is that Juventus have a good relationship with Lyon, and that could give them an advantage against other clubs, including Manchester United. There’s no mention of how much the player would cost for now, but it’s made pretty clear that the Old Lady are making an attempt for the midfielder. In both cases, there’s a fear Manchester United could prove a big problem.